What do Joe Foster and Mayo Thompson have in common? Probably quite a bit should you stop to think about it? Myself, I’d argue that they produced the best-ever Felt records. That would do for starters. 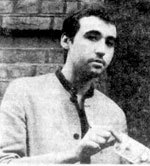 I first came across Joe Foster back in the days when he was Joe from Hendon, and an occasional member of the Television Personalities. One of the few occasions when the media spotlight swung their way was when Clash acolyte Robin Banks put a little piece together for The Face around the time Rough Trade issued the 'Smashing Time'/'King And Country' TVPs single. In the article Joe and singer Dan Treacy are pictured wearing pop art style medals and dragoon tunics. 'King And Country' is one of the great TVPs recordings, a savage attack on the war game that mixes the Byrds and The Jam. 'Smashing Time' is just silly. I first came across Mayo Thompson indirectly as a member of the Red Crayola, singing 'Hurricane Fighter Plane' on a flexi disc given away with Zigzag magazine back in 1978 or so. I remember the Ramones were on the cover. The flexi disc also featured the Thirteenth Floor Elevators’ 'Reverberation' I think. It was my first exposure to the garage punk/psychedelic sounds that would influence so many of my favourite records. Mayo Thompson went on to be an integral part of the Rough Trade community, producing records for the likes of The Fall, Blue Orchids, Raincoats, Cabaret Voltaire, Stiff Little Fingers, Kleenex and Monochrome Set, and making more great Red Crayola with various Rough Trade personalities. Some of these Rough Trade records are among my favourite records ever. I’ve read often how they broke all the rules, but to me they sound like pop should. It’s what I grew up on. The TV Personalities released one of their two great LPs on Rough Trade in that same era. And Don’t The Kids Just Love It contains some of the most moving songs ever, and some of the best examples of what I call outsider pop. Compared to the TVPs’ peers like The Jam and Buzzcocks, the sound on this record may seem spindly or all wrong, but that’s almost the point. The real point, though, is Dan Treacy wrote some very lovely songs, which was hardly recognised at the time. Even later in the mainstream media only really Michael Bracewell in his England Is Mine review of pop showed any kind of understanding. One of the few people who did really get the TVPs at the time was Alan McGee. 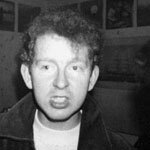 When I first came across McGee he was working in the stores at Liverpool Street station, wearing paisley shirts and Joe Orton caps, running a fanzine called Communication Blur and a club night in the West End (which would become The Living Room) where he put on his favourite underground pop groups. The fanzine would be filled with enthusiastic and rousing prose about his favourite pop groups, like the TV Personalities and the Nightingales. McGee had until recently played in a group called the Laughing Apple, which journalist Dave McCullough had raved about, and which released one great argumentative racket of a song called 'Participate!' It sounded like a cross between the TV Personalities and the Nightingales. I first met Joe Foster at one of McGee’s Living Room nights on the Tottenham Court Road. He was wearing a State Arts Scars ski t-shirt. State Arts t-shirts were beautiful things, and Scars were an under-appreciated pop group. The Jasmine Minks were playing that night. I remember they made a wonderful row. They played The Jam’s 'Away From The Numbers' and The Fall’s 'Rowche Rumble' at the same time. They also played We The People’s garage punk classic 'In The Past'. What more do you need to know about pop? How about the clothes? Because they were very important. Some of the people involved in the early Creation activity were very well turned out. Paisley shirts cheap from Flip in Covent Garden, old suede jackets, black crew necks (impossibly hard to get hold of in the early ‘80s! ), desert boots, white jeans, shaggy mod crops, John Smedley knitted tops, golf jackets, corded jeans jackets, old suede trainers, and all of this way before the London club land jazz dance/rare groove appropriated aspects of this look, and all way before the underground pop scene became associated with bad shoes, shapeless haircuts, and the look of someone standing on Stafford station collecting locomotive numbers, or the traditional dark side of rock garb(age) of leathers and a million cliches. Joe Foster was a member of the TVPs again at the time they recorded the classic (Rough Trade) 'Sense of Belonging' single and their other (most definitely not on Rough Trade) great LP, The Painted Word. Joe was involved in the production of that occasionally intensely moving set. It contains one of those songs, 'Someone To Share My Life With', which like Jonathan Richman’s 'Hospital' or 'Morning Of Our Life', seems other worldly. 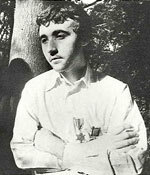 Indeed Dan Treacy like Jonathan Richman would often be taken less seriously than they could or should because of an occasional playfulness. Myself, I would find the TVPs’ very-BBC sometime silliness grating, but then I never liked the Goons or Kenneth Williams’ funny voices. Joe Foster would become an integral part of the Creation community, producing records for the likes of the Jasmine Minks, June Brides, Biff Bang Pow!, The Loft, The Jesus and Mary Chain, Primal Scream and Bodines. Some of these Creation records are among my favourite records ever. I’ve not read often how they broke all the rules, but to me they sound like pop could. At the recording of their first single Primal Scream tried hard to get the drums to sound like The Jam’s 'Pretty Green'. That’s the sort of thing you need to know about pop. For a short while, this was the sound of pop in opposition. These were bands apart. Their motivation was to react against a prevailing superslicksterisation, the sterilisation of pop, embodied by the likes of ABC, Simple Minds, Duran Duran, U2. The new pop dream that went horribly wrong, in other words, in an age when a former member of Yes and the Buggles was better thought of than Vic Godard and Mark Perry. And a particularly stagnant pool of an underground filled with anarchic circle-A groups and daft goths filled many with horror and dismay. So yes some did retreat outside, to regroup, and take inspiration from elsewhere. There was a musical hunger backed up by the anger of being letdown, which was a healthy thing. That elsewhere came through groups like Love and the Byrds, from ‘60s soul and old mod noise, and of course ‘60s garage punk and psychedelia. There was, however, still predominantly a sensibility very much shaped by the sound of the underground beyond punk, the strange pop that shaped a whole way of looking at music. So something like the early records put out by Rough Trade, Fast, Factory and Postcard were for many a strange norm and a starting point. Hearing The Jesus and Mary Chain for the first time the immediate reference points were A Certain Ratio’s 'Thin Boys' and Cabaret Voltaire’s 'Nag Nag Nag'. Songs the group was not aware of. That roughness was what people had grown up on. And it was entirely logical to spend days just listening to care-worn cassette recordings of unofficial recordings of Television, Buzzcocks, Subway Sect, and the Velvets. That all fed through into some of the great records that came out in 1984/85. It was a brief moment, but a very creative time, with lots of fanzines and clubs starting up, lots of people from different parts of the country who had felt isolated, getting things going. Dan Treacy said it all failed when those people started meeting. And it was Joe Foster who provided a lot of the glue that held things together for a while. He made a series of singles sound more raw than they need have. And I prefer to think this was not just about restrictive budgets, in the same way I like to think the restrictive budgets that Jean-Luc Godard worked to were just part of a whole range of factors that made his pre-Vertov films so great. Joe somehow made records like The Loft’s 'Why Does The Rain', the June Brides’ 'In The Rain', and the Bodines’ 'God Bless' seem more rough-hewn than the groups did live. There was a deliberate perversity involved, which I thoroughly approved of. He and McGee, for example, insisted on releasing the murkier, more savage version of The Jesus and Mary Chain’s 'Upside Down' rather than the smoother, more pop version the group preferred. 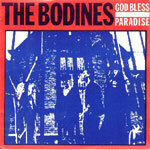 I desperately wanted Joe to produce the first LP by my favourite group, Hurrah! Joe was dead keen, and so were the group, so I don’t know what went wrong. Perhaps there was just not enough will to make it happen. The world could have been a very different place if I had succeeded. Hurrah! were a very special pop group, and maybe Joe would have been the person to turn those inventive guitar explorations into silver soaring Lear jets, in a way that brought out the group’s love of rough textures like The Fall and the Voidoids. At one point Creation quite rightly thought it would be a great idea to get Mayo Thompson in to produce a series of records. Now the thinking behind this was perfect ­ psychedelic pioneer and punk experimentalist ­ ergo he will do the alchemy thing and work some magic. Sadly it didn’t quite work out that way, and Primal Scream’s sense of adventure was lost on Sonic Flower Groove. Though apparently accidentally Mayo made Felt’s Poem of the River something special and strange. Similarly Joe Foster would against everyone’s better judgement make Felt’s Pictorial Jackson Review such a stripped-down and shorn 'Positively Fourth Street'-style gem. I only ever saw Joe Foster play as part of a very early incarnation of Razorcuts, when they would perform a cover of Subway Sect’s 'Chainsmoking', dressed in hand painted shirts. Razorcuts were one of those groups heavily influenced by the lighter side of the TV Personalities (that is more 'Geoffrey Ingram' than 'This Angry Silence'), who would be very popular with the international pop underground as it evolved. It was interesting to watch young kids whom you had seen wearing Razorcuts badges and fringes like Bobby Gillespie grow up into malcontents in duffel coats, misquoting Huey Newton, and clutching a copy of Colin Spencer’s Anarchists In Love, talking earnestly about K Records, the DC underground label that started out in the same way as Creation, as a deliberate reaction to a pervasive staleness. And just as there were important DC figures that helped shaped the outlook of K’s Calvin Johnson, so Joe Foster was incredibly important in opening people’s eyes, ears, and minds to a broader range of sounds, particularly from the shadows of the ‘60s. It was this passion for salvaging and sharing that would go on to fuel Joe’s persistence in making such a success of his Rev-ola imprint, initially at Creation and then at Cherry Red. His track record there is exceptional. From the early releases like the Fire Engines, Dr Mix, Jonathan Richman, Hurrah!, Josef K, Yma Sumac, Maureen Tucker, Fred Neil, Shoes, Martin Denny, Ivor Cutler, Bobbie Gentry and A Certain Ratio through to Julie London, Merrilee Rush, Claudine Longet, Dana Gillespie, Rita Lee, Evie Sands, Edu Lobo, Lori Burton, Claudine Longet, Jasmine Minks, The Loft, Biff Bang Pow! and especially Chuck and Mary Perrin. It’s difficult to keep up. Joe Foster, like a lot of the Creation people, was always a great storyteller, who did not necessarily let the truth get in their way. For some reason when I think of Joe I recall him quoting at length from a biography on Spanish anarchist leader Buenaventura Durutti, which always struck me as a totally cool to be doing. I could never find a copy of such a biography, but those were very different times. Now you can just call up an article by Emma Goodman on the theme: “Durutti Is Dead, Yet Living”. In that article Emma describes going to the heart of Durutti’s organisation, and witnessing for herself something very special. I was lucky enough to experience some of the early revolutionary zeal at the heart of the Creation camp. I just get very sad sometimes thinking about how the early strangeness and spitefulness got lost and swallowed up. Whose fault was that?